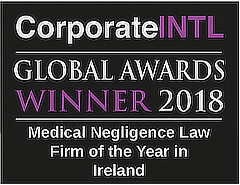 Our Medical Negligence Solicitors have detailed experience in dealing with cancer and other failure to diagnose compensation claims. We will focus entirely on your needs by providing vigorous expert representation to ensure that you receive maximum damages for your medical negligence claim. Our experienced lawyers are able to deal with a wide range of misdiagnosis/ failure to diagnose compensation claims including cancer. Sometimes a cell in the body is influenced by the environment or by internal factors or by genetics and it mutates. Its DNA has slight differences from the parent cell but it has one difference that makes it a cancer cell: it continues to divide at a rapid pace and, some of these cells can break off and metastasize to other body areas. Eventually the cancerous cells invade vital organs, damaging their functionality. Eventually, the body systems fail and the individual dies. This is cancer on a cellular level but on a total body level it is much more devastating. The most common cancers are lung, breast (in females), colon, and prostate (in men). Unfortunately, the most common cancer is also one of the most lethal and that is lung cancer. Lung cancer can be caused by pollution, radon exposure, smoking, secondhand smoke and exposure to asbestos. There are several types of lung cancer, namely small cell, large cell carcinoma and mesothelioma. Mesothelioma is almost always caused by exposure to asbestos. The others are primarily related to smoking. In women, breast cancer is the second most common cancer. It is a cancer that is strongly related to heredity. Researchers found tumor markers, namely the HER-2 marker, the Cancer Antigen 15-3, the cancer antigen 27.29 and carcinoembryonic antigen or CEA. Due to tumor marker screening and women having more regular mammograms, the death rate from cancer has significantly declined. Colon cancer is creeping up as the number two cancer in the US for men and women. Screening for colon cancer is a colonoscopy at aged 50 and then every ten years after that until you’re in your mid-70s. The colonoscopy looks for cancer and for precancerous polyps which can be removed and tested for cancer at the time of the colonoscopy. If cancer is found, that section of colon is removed along with nearby lymph nodes. The two ends of the colon are then reattached or the patient is given a colostomy, in which the proximal end of the colon is brought up to the skin surface with stooling happening into a pouch. Prostate cancer is common in men. It is cancer of the gland that sits beneath the bladder. Its incidence increases with age, which is why it sometimes isn’t treated at all. If a man has slow-growing prostate cancer and is elderly, it may not be treated. Aggressive cancer is usually treated, regardless of age. If you or a loved one suffered personal injury caused by a failure to diagnose or misdiagnosis an illness, please contact us to speak with one of our specialist solicitors who can evaluate your case to determine your legal rights and options. Our initial consultation with you will identify whether you have a good case, how to go about claiming and how much your compensation might be worth. We will give you clear unequivocal advice about your chances of success and the anticipated value of your claim. If after talking to us you decide not to take your compensation claim further you are under no obligation to do so and you will not be charged anything at all.